When my phone rang at 8a.m. and a friend asked me this very question I did what any died hard snowmobiler would do, I dropped what I was doing and started packing. Lucky for me owning my own photography business has some benefits, including the ability to reschedule less important tasks. Getting the chance to escape mid-week from my city life is always a thrill. Nothing beats turning right towards the countryside instead of my usual left towards the city lights. Having grown up in Northern Ontario snowmobiling has became a crucial part of who I am. Although I still live in the North I am one of the unfortunate few who must stay in the city during the week for work. The journey north for me is always painfully slow. I constantly find myself checking the GPS for my arrival time, calculating how fast I can go before it’s considered speeding, and ultimately day-dreaming about the day ahead. After what seemed like hours I finally found my exit off the highway and turned down a small snow covered country road. 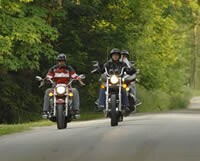 As I was pulling into the beautiful Cedar Gables Lodge I could see my friends Jess Kline, Mike Jacobs and John Arkwright waiting outside with smiles on their faces. Just like me, these three were as giddy as school children on a snow day. With Arctic Cat, Ski-Doo, Yamaha and Polaris all represented we were a group of sledders with only one goal in mind: enjoying winter and sledding no matter the brand of sled we rode. 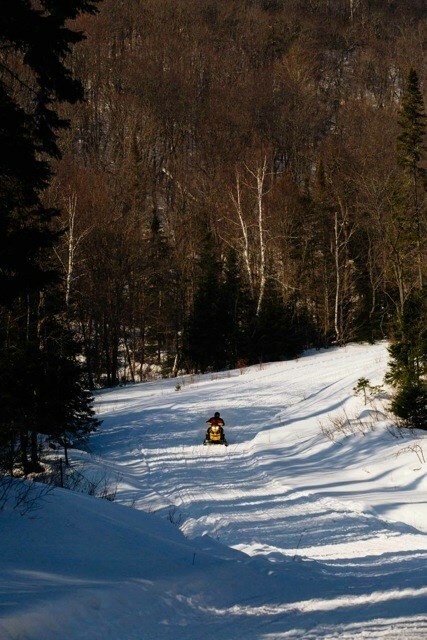 Every sled has its positives and negatives so why worry about the little things when you can just ride. The sleds were filled with gas, our gear was snug and warm, and the sun was shinning at its fullest strength. 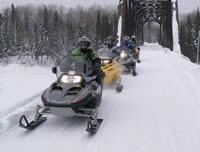 Our day was filled with beautiful scenery, flawlessly groomed trails and the perfect mixture of adrenaline and peace that all snowmobilers recognize and live for. Out in the countryside away from the noises and distractions of the city I finally feel relaxed and truly happy. 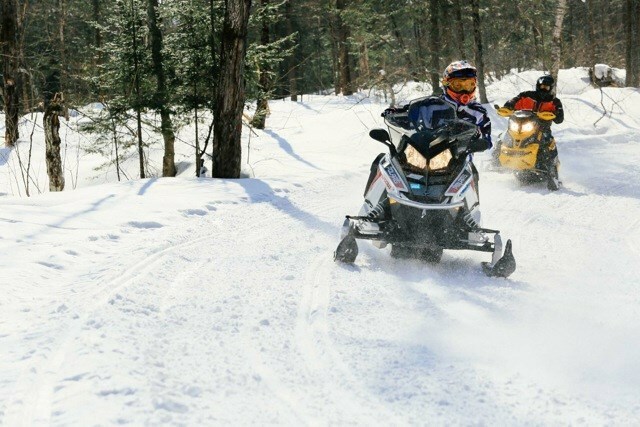 Although we all live busy lives sometimes it’s important to take a step back from work, escape the city and head north to the land of snowmobiles.